If you have a passion for collecting globally acclaimed best luxury watches, you must count on Harry Winston watches for adding at least one of them in your treasured collection. Primarily known as a famous jewelry designer and manufacturer of world’s some of the finest jewelries, Harry Winston crafted some unique luxury wrist watches, which have created a special niche in the word of horology. This unique legacy of manufacturing designer timepieces is the history of Harry Winston watches. 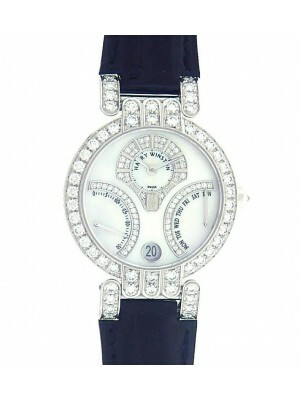 Harry Winston watches were introduced first time in the market in 1989; following the convention of the same branded jewelries, the watches also came with studded diamonds. The brand’s first watch collection was Premier collection and now it has become a signature collection for horology experts and watch collectors. The next series launched by Harry Winston was Opus, which was again a unique and exclusive collection of timepieces from the house of Harry Winston. Some other notable collections were The Avenue, the Ocean, Midnight, Ocean Moon, Project Z, Historie De Tourbillon, etc. Harry Winston designer watches are available for men, women, and there are some unisex watches for stylish and fashionable people. Each of the timepieces crafted by this legendary brand is a grand combo of best Swiss technology and opulent jewelry craftsmanship for making these premium watches a signature watch in all ways. 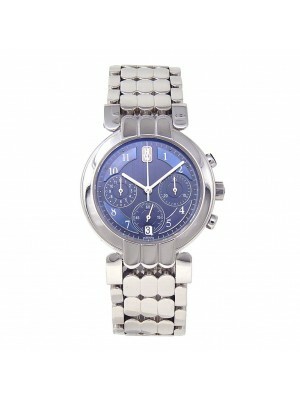 Pre-owned Harry Winston watches are also in great demand. These are wonderful items to purchase as an asset or a premium fashion accessory. Harry Winston midnight-diamond-drops-white-gold watch looks awesome with its azure blue colored dial, white gold punched silvery bezel, embossed with 305 well-cut diamond pieces and wrapped by scratch-protected best quality sapphire crystal. The face of the watch displays date, and its hour hands are silver-colored, which is easy to read. Round-shaped watch case is made of 18k Gold. The total of 305 diamonds are studded here. The watch is water-resistant up to 100 meters. 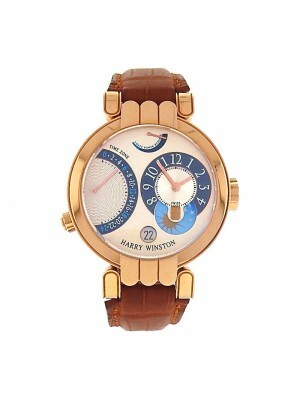 The Harry Winston luxury watch comes with a blue tinted leather band. 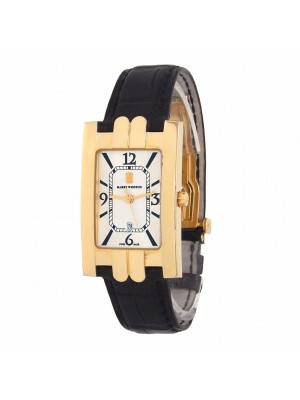 Harry Winston midnight-sunray-dial ladies’ watch is a compliment to ageless feminine beauty. 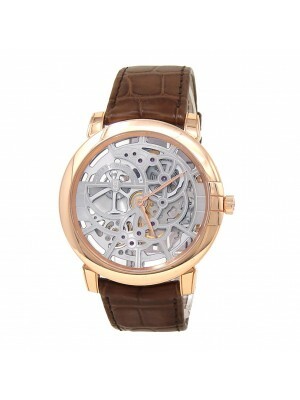 The watch case is made of premium-quality rose gold. 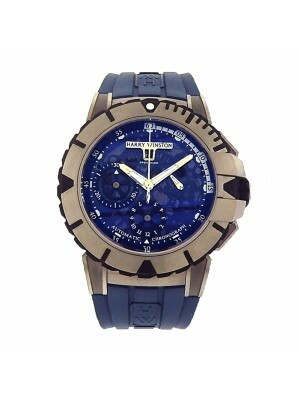 It comes with an exclusive satiny grey hued bracelet to keep the timepiece fixed on wrist. 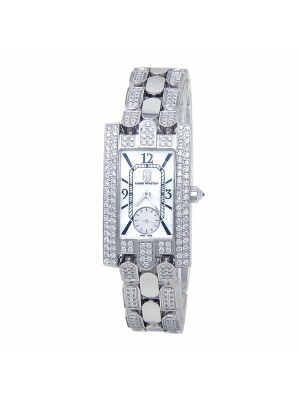 The bezel is made of 88 original diamonds, three of them are of bigger size. The dial is of champagne color, hour hands are golden-colored, and the hourly positions of twelve, nine, six, and three are marked with diamonds. The luxury watch is up to hundred meters water-resistant and it runs on the best quality quartz movement of Swiss origin. Harry Winston premier chronograph watch for men is crafted with 18k rose gold as base metal and it comes with a premium quality leather strap to hold the watch on the wrist. The timepiece is made with mother of pearl-colored analog-type dial. The watch displays golden hued hour hands, which are easy to read. 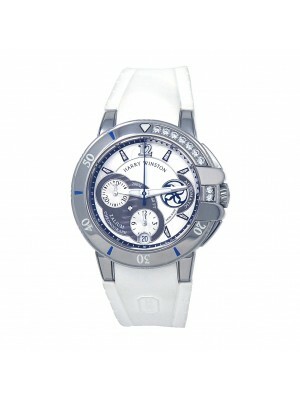 This Harry Winston baby is built with chronograph enabled sub-dials showing hours, minutes, and seconds respectively. The luxury wrist watch runs on the best-quality Swiss quartz movement and its round-shaped bezel is found embossed with 236 good-quality diamonds. 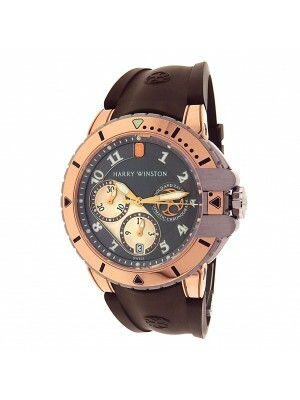 Want to buy a Harry Winston timepiece for a reasonable price? Take a look at the authentic and colorful stock of Harry Winston pre-owned luxury watches at best prices at Midtown Watch.